Have you had the lime cilantro rice at Chipotle? It is delicious. This is my take on that wonderful side dish and perfect addition to the burrito you are building with the Rotisserie Carnitas and Not Refried Black Beans. 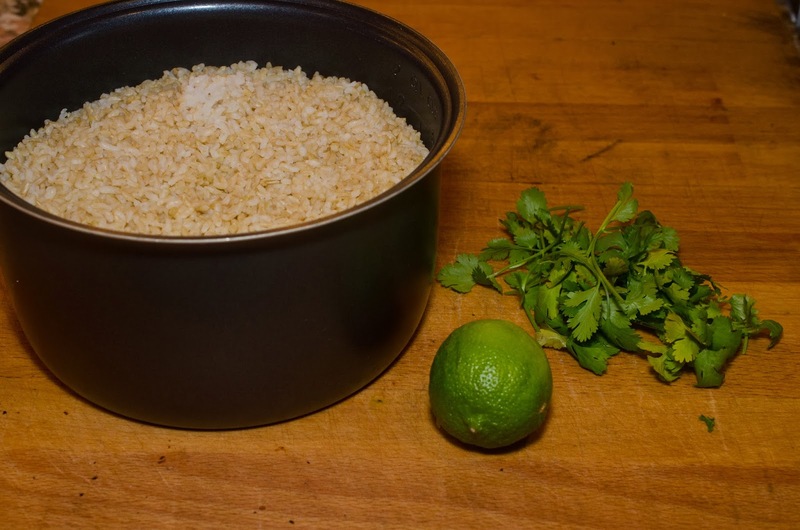 This is a simple way to add flavor to your steamed brown rice. This was delicious with the Rotisserie Carnitas and Not Refried Black Beans. Cut stems off Cilantro and roughly chop and add to rice. Roll and press lime on countertop, cut in half and squeeze juice onto rice. 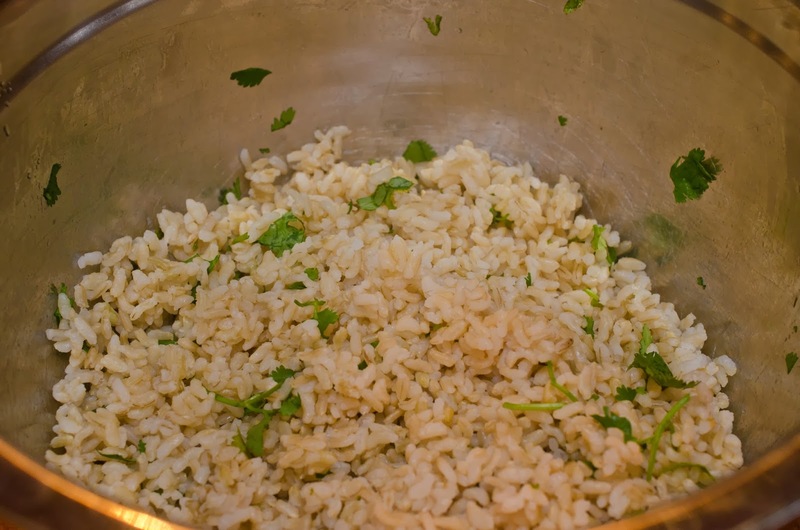 Stir rice, lime juice, and cilantro together and serve.